A fragrance can be pleasant or unpleasant, complicated or not. The more complicated a scent, the more nuanced it is, the more ingredients of high quality were used to make it. For me, it is a relatively simple matter to judge the complexity of a perfume, but it can be difficult to decide whether I like it or not. Euphoria is one of the most popular scents on the market. This is surprising, because although the fragrance can be seen as a fruity floral, it differs leagues from the average in this category. This scent is very strong! Its potency is such that even a tiny spritz gives a dense, heady scent. Unfortunately, I had an initial association with a strong-smelling old lady for its cloying quality. Euphoria smells interesting, but with what populates the general market it’s almost astonishing to find it successful. I’m glad for it, as it is a quality product, even though personally I find it too heady. The scent is a woody floral aroma upon drydown – an allure perhaps worth waiting for through the almost sickening floral sweetness. Dry pomegranate introduces the fragrance with a sweet, exotic note, which I sense is ruined and quickly by the overpowering heady orchid that tries to usurp the fruit. The resulting concoction can be nauseating. On the verge of the drydown, once pomegranate had aired out and the orchid softened, mahogany and amber show through. At this stage, Euphoria finally becomes wearable. It is definitely a winter and autumn fragrance or for a night event, lasting 10 hours and leaving a trail withing arm’s length of the user. Calvin Klein’s Euphoria is a complicated, nuanced, quality fragrance that tells a grueling story for too long before coming to the happy and pleasant-smelling end. The degree of enjoyment of its narrative will greatly influence the perception of the perfume. Calvin Klein Euphoria Eau de Parfum Spray: 30ml for £30.60, 50ml for £40.80, 100ml for £56.10 @ Escentual.com. There are so many fresh and/or fruity florals on the market today. A lot of them are pleasant and a safe option for everyday. But because they are safe, they are generic. There is nothing distinct or signature about them. They are feminine, light, soft, and liked by a lot of men. They are generic crowd pleasers. However, the fact that most of them lack tenacity doesn’t seem to hurt their popularity and every year ever more clones populate stores. Coach Poppy Flower is one of these inoffensive fresh florals. It begins with a citrus and litchi introduction, followed by rose, peony, and water lily. The florals are light and ethereal, hinting more at green buds rather than mature flowers. I cannot smell a drydown as the fragrance is too airy. For running errands on a spring or summer day, Poppy Flower could be a choice. It could have pulled off being a good everyday fragrance if its tenacity wasn’t as short-lived as 2 hours. It sits close to the skin with a short trail detectable when the wearer moves if standing close. If you are looking for an everyday item or a light scent to wear to work, Coach Poppy Flower can definitely have a place on the shelf. Not on a perfume shelf, however, as it’s a fragrance and not a perfume. Coach Poppy Flower Eau de Parfum Spray: 1oz (30ml) for C$45.00, 1.7oz (50ml) for C$65.00 @ Sephora.ca. A clean-smelling human is attractive. There are heavy, dense, opulent perfumes that smell alluring, but they can overwhelm. Clean’s Fresh Laundry takes its name literally, bringing humour into fine fragrances. Fresh Laundry really does smell of laundry, reminiscent of bleached white sheets hanging in the sun outside, country style. It is at once citrusy and green, but smells inviting via musk and a white floral vibe. Fresh laundry opens with lime and grass. Jasmine joins in the midnotes and musk rounds out the base. These notes are blended so well, however, that it is difficult to discern one from another. Instead, the bigger picture of fresh laundry humorously teases the nostrils of a slow spring or summer day. It lasts about 1.5 hours, staying close to the skin without a trail. Some may frown at a fragrance that smells reminiscent of a fabric softener. However, Clean does not hide this from the consumer, naming their scent appropriately. Fresh Laundry is a perfect T-shirt and jeans fragrance, imparting a sense of clean. 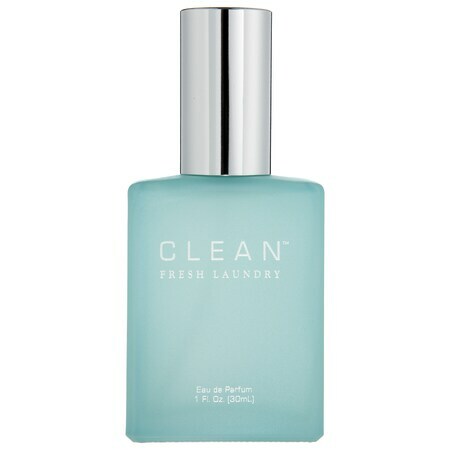 Clean Fresh Laundry Eau de Parfum: 0.34oz (10ml) rollerball for C$22.00, 1oz (30ml) for C$38.00, 2.14oz (63.3ml) for C$74.00 @ Sephora.ca. My imagination is, unfortunately, lacking. People talk of fragrances evoking memories, but I never experienced the phenomenon. A few may spark imagination, though I still have to put my mind to it and actively generate a picture. Many people on the Internet talk of Apres L’Ondee being a rain fragrance: to wear during such weather, to evoke a rainy garden feel, or both. I agree. Anise in the top notes begins the drizzle, slowing into a bitter and powdery facet which whispers of an oncoming thunderstorm. The downpour begins and the drenched violets release their scent, joined by iris and heliotrope in the basenotes. The floral accord mingles with a woody one, alluding to broken stems and branches for a true garden after the rain. It’s a fragrance for a spring or summer day, especially for a cold one. Apres L’Ondee lasts about 5 hours and sits close to the skin without leaving a trail. Although the top notes are luminous, the fast-approaching drydown is antique. Its bitter note is nothing of the interesting melancholy character like it is in Mitsouko. Only the skeleton of the fragrance remains. Guerlain Apres L’Ondee Eau de Toilette Spray: 100ml white bee bottle for £66.60 @ Escentual.com.